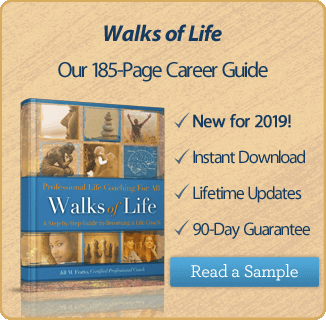 If you are considering career coaching as a niche for your coaching business, there are many viable options for you as career coaches are sought after more now than ever. In the past, people were more likely to stay with one company for years, sometimes only working at one or two companies over the course of their career. Today, the average employee stays at a job for just over four years according to the US Bureau of Labor Statistics . That number is predicted to be even lower as over ninety percent of Millennials (born from 1977 to 1997) reported they expected to stay in a job for less than three years in a recent survey . Over the course of their careers, these young workers will have 15-20 jobs by the time they retire. This doesn’t even speak to the generation born after 1997! Reason #1: I need to differentiate myself. Career coaches help clients stand out above the crowd. Today’s job market is saturated and competitive. Career coaches know the best strategies and tactics to help their clients rise above their competition. This can also decrease the time it takes clients to find work. Many clients say getting a job and benefits faster than their competitors more than pays the fees for career coaching. Reason #2: I need help transitioning into a new role at work. Leaving a job or finding a job isn’t the only reason to seek a career coach. The workplace is demanding and jobs cannot be assumed anymore. Employees have to work hard and produce results to keep their jobs. Many people hire career coaches to help them make successful transitions within with careers. This may be help transitioning into a manager role, help focusing or prioritizing or even help with a challenging task they have been assigned. Reason #3: I need help making a career decision. Should I stay or should I go? This question plagues people as they see other jobs that interest them or have new offers on the table. Hiring a career coach to help them sort through the pros and cons helps elevate their perspective and gives them a sounding board as they make the difficult decision. A career coach also gives their client a non-biased partner in the process. Many times friends, co-workers and family have well meaning advice, but it isn’t always objective. For example, talking to your closest co-worker may not help if she doesn’t want to see you leave your current job. Reason #4: I need help staying motivated. The job search can be a job in itself. Especially for people who aren’t currently employed, it can be difficult to stay focused on the task at hand. Career coaches work with clients to help them chart a plan for success. Checking in with a coach helps clients stay accountable and more likely to meet the goals they set. Some corporate recruiters advise their clients to hire a career coach. Companies and recruiters have described coached clients as focused and more able to tell their success stories than uncoached competitors. For these reasons, coached clients also have higher chance of getting interviews with the recruiter’s companies. Now that you understand what career coaches can offer their clients, it’s time for Step 2- find a coaching certification program. Many coaching schools offer programs for certification. You can search for specific program by career coaching at www.coachfederation.com. There are a few programs that stood out to us for career coaching. In addition to a career coaching focus, we also considered the ability to complete the program on-line, if desired, in our search. The Center for Coaching Mastery program through Coachville is an accredited coaching training program focused on helping coach trainees prepare to be leaders in the coaching industry by inspiring them to use the spirit of play. The school’s philosophy is based on the belief that true success comes when one is free from self-imposed limitations and able to express their gifts and talents. The online program includes four modules, through which ones progresses. Level 1 is the Pursuit of Human Greatness which focuses on learning coaching skills and the “Play Two Win” coaching method. Level 2 is the Pursuit of Inner Freedom which focuses on deep personal exploration. Level 3 is the Pursuit of Personal Evolution Coaching which focuses on advanced Personal Environments coaching. Level 4 is the Certification Process in which you complete requirements to earn your certification. The program cost is $5480.00 if paid in full. The Advanced Certified Personal and Executive Coach program through the College of Executive Coaching is an accredited coach training program offered face to face and online. The program boasts fifteen Ph.D. level faculty members and training for professionals with graduate degrees who seek additional training to add to their current credentials. The program also provides continuing education credit for coaches, counselors, psychologists, nurses, social works and HR professionals. The largest percentage of their students begin the program with six days of in personal focused training and complete the remainder of the program virtually; however a 100% distance learning option is available. After the core content is complete through face to face or DVD, participants complete the additional work through telecourses and individual phone conference with a faculty member. The cost for the program is $8990.00. The Executive Coach Training Program through the Center for Executive Coaching specializes in career and corporate based coaching. The career/transition focus is on helping professionals gain outstanding results and value from the coaching relationship. 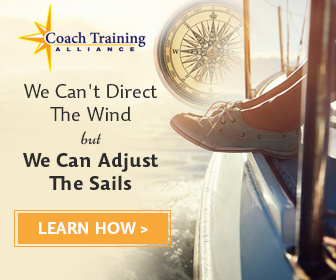 The program structures their training for the business environment—boasting “practical, results-driven tools” for the coach trainees specifically geared toward career and corporate environments. The program also provides a variety of business support to trainees to help them establish a high level in their desired market. Further, the program allows for self-paced learning as it caters to busy, working students. The cost for the program is $4950. Step three is to choose a school and get started. The sooner you complete your certification process, the sooner you can begin building your client base. Some programs even help and encourage you to begin taking clients while you are in training. Having your certification will give you an edge above your competition. Your clients will feel more at ease knowing they have invested in a professional backed by a standardized certificate. Once you’ve achieved your certification, it’s time to go out and get clients!